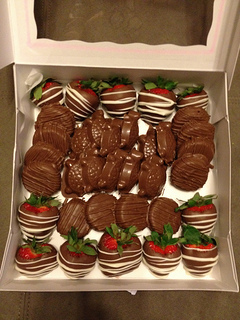 I had lunch with a friend prior to Lent last year and she mentioned that she had not eaten chocolate in three weeks. This shocked me, because among other things such as her love for God and knowledge of the Bible, she is known for her love of chocolate. Her husband would even bring her chocolate from around the world as he travelled extensively, so she was able to indulge in the finer things. As I chatted with her about this, she explained that when she had chronic pain due to an issue in her leg, she used chocolate as a comfort. Now, however, she was completely healed and pain-free, due to a lot of prayer and amazing doctors. Yet she realized that she was still eating the chocolates. She realized that she wasn’t glorifying God by continuing with the chocolate habit, so she gave it up! After our conversation I started thinking about the dependencies in my life, and one of them was definitely pop, specifically Diet Pepsi. 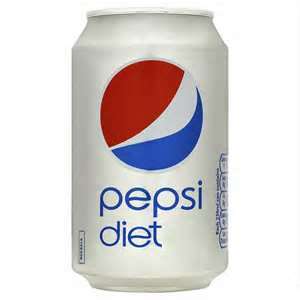 I could not go a day without Diet Pepsi, and my consumption had crept up to 2 cans a day or more. While this may not sound like a lot to some, it was not healthy because I drank two cups of coffee as day as well and didn’t drink any water. My complexion suffered too, because I would consume my Diet Pepsi with Pop-Tarts or chips. During Lent last year I decided to give up this habit. I gave up all pop (or soda depending on your part of the country!) so that I wouldn’t just give up Diet Pepsi and replace it with Diet Coke or root beer. I could definitely see myself justifying that in some way! The first day was extremely difficult, mainly because I just couldn’t stop thinking about pop. Water and milk just didn’t give me the same taste and sweetness – orange juice didn’t cut it either. I started to have headaches the second and third day, which I attribute partially to giving up pop and partially to the fact that our neighborhood was being re-paved and the smell of fresh asphalt was pungent and difficult to escape. By the 30th day I started to level out. I didn’t think about it as much, and the only time I craved pop was when I ate fast food. I started to drink iced tea and flavored waters, and made sure to keep my coffee intake to 2 cups so that I didn’t start to become dependent on that. I will say that the first Diet Pepsi I had on Easter after the Lenten fast was hugely satisfying!! So sweet and ice-cold. But a funny thing happened about 10 days after that – I suddenly just lost my taste for it. I would crack a can and start to drink, and it was too sweet and too carbonated. It didn’t quench my thirst and I ended up just leaving the rest of the can sitting by my desk. I did that for about 3 days before realizing that I just shouldn’t even open the can. I actually wanted water to drink for the first time in years! I decided at that point to just give it up for good. With daily, consistent effort I slowly broke that stronghold. I’m not drinking 8 glasses of water a day yet, but I’m drinking a lot more than I used to. Some days I do crave the taste and ease of a can of pop, but I can easily re-direct my thoughts to something else and move on now. It’s worth it to break free from any habit that starts to rule you, even something as simple as diet soda. Lord, please show me any habits I might have that are unhealthy or addicting and help me to break that habit for good. This Wednesday marks the beginning of Lent. Think about a habit you need to change and set some goals for yourself, whether they are monthly or yearly goals, or if you need to take things one day at a time! I’m trying to give up carrots for Lent – don’t know if I can do it. Wow, carrots? That is a significant sacrifice! Heather I will share since I too am thinking of lent and what to give up. I have read more about lent and realized that I needed to not only suffer in some way but to improve myself. I found this to be thought provoking since growing up it was always give up something you love for Jesus. But to add the twist AND make myself better… wowza! As usual you inspire me – as you know I love my wine. So yes, I will be giving up alcohol. I hope I do as well as you have with the DP! Love the new blog, keep them coming! Andi – Now I am inspired! That may be a long 40 days, but I am here for you! 🙂 Remember there is one more day before Lent begins – a nice pasta dinner with wine sounds just about right for tonight.